Pakistan Super League is being played in the UAE cricket stadium and now this great event of PSL is entered in the last stage. There are various international players of various cricket teams, who refused to come to Pakistan to play the matches, which will be played in Pakistan. The English Cricket Board has imposed the strict ban and policy on traveling to Pakistan and there are all of the English players like Eoin Morgan, Sam Billings, Jason Roy and Alex Hales, who will not travel to Pakistan and they will not take part in the playoffs and final of the PSL, which will be conducted in Lahore and Karachi respectively. 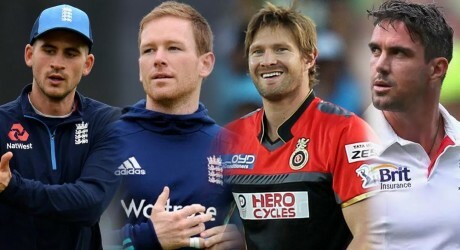 The English players, Eoin Morgan and Jason Roy joined their respective teams recently. The English skipper joined Karachi Kings while Jason Roy is the part of the team of Quetta Gladiators. The other foreign players like Kevin Pietersen and Shane Watson expressed their desire to play in the playoffs and final of the mega event in Pakistan but he has not yet decided whether they would visit Pakistan. Sarfaraz Ahmed spoke about the situation and said that he is hopeful about the visit of the international players to Pakistan. He said that he would realize that they suffered loss due to absence of various star international players and he has the replacements in line. There is the complete list of the players, who refused or doubtful to play the eliminator matches of PSL 3 in Pakistan. There are some of the sources, who claim that the PSL administration cannot take the risk to conduct the final of the PSL without the presence of the overseas players. The administration will move the final of the PSL to Dubai or they will offer some additional bonuses to the international players.